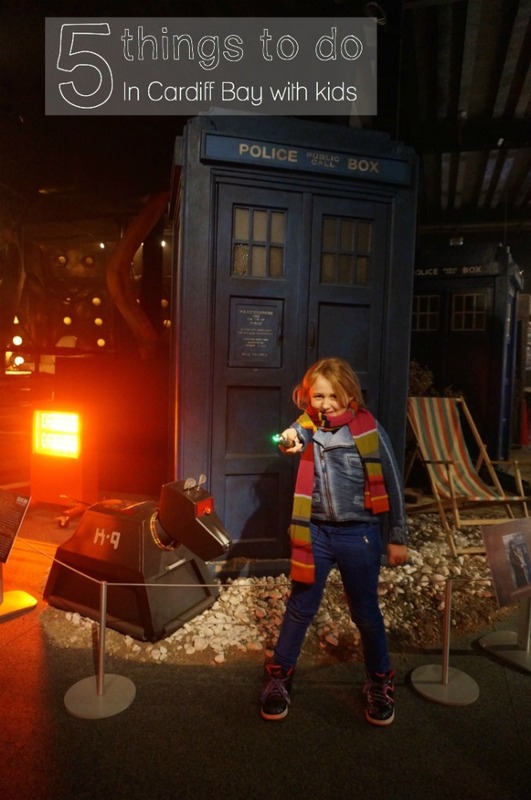 As one of four families working with Visit Wales on an online video campaign promoting family holidays in Wales, Penny, her husband, 6 year old and 8 year old, spent an afternoon filming at the Doctor Who Experience in Cardiff Bay. 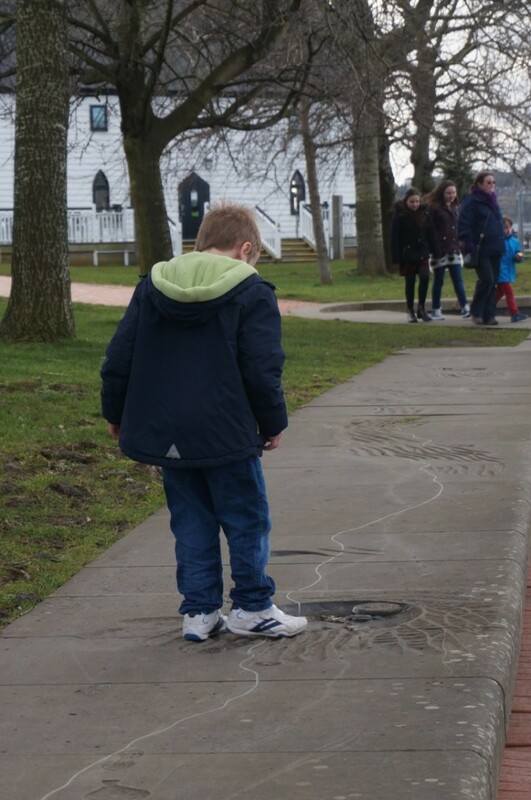 They spent the rest of the day exploring all that Cardiff Bay had to offer families, and were very pleasantly suprised – this is an area with masses of family appeal and good value for money. 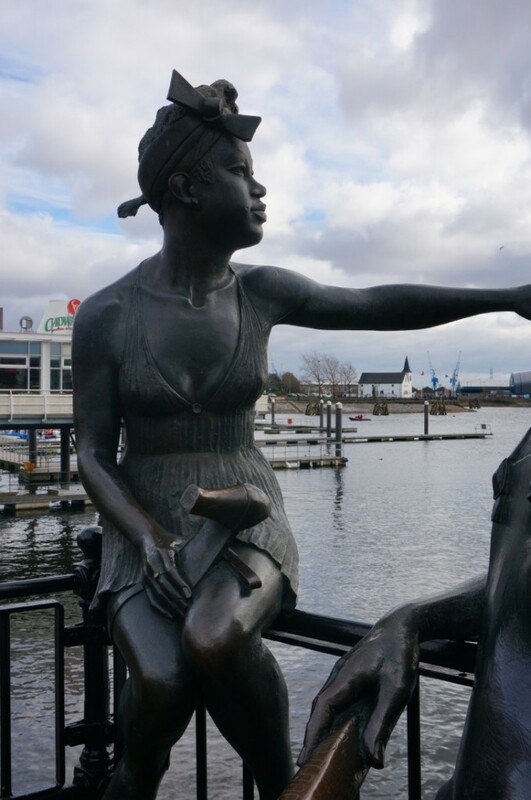 Cardiff Bay is beautiful, from the bay itself, to the stunning range of architecture, to the imaginative sculpture and plaques and poetry – my children had so many questions about everything we stumbled upon. It was a treasure trail of a walk. 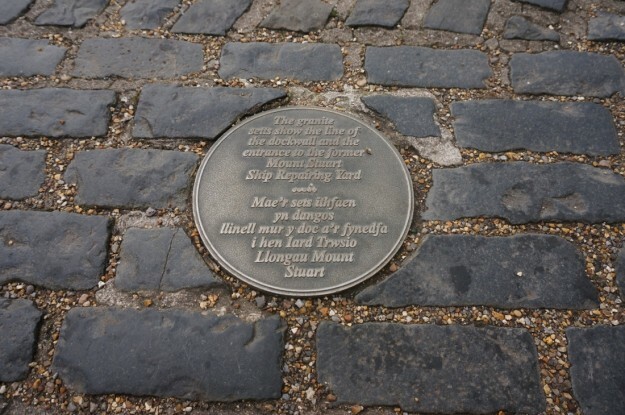 Why is the building red, why is it called Roald Dahl Pass, who was Scott the explorer, why is that church white, what does that writing say, what does that plaque say, read me that poem, who died, why are there jellyfish in the pavement? We loved just wandering, chatting and discovering. There are loads of waterfront family friendly eateries; from chains to indpendents, there is something for everyone. The best bit is everything is you can walk from attraction to attraction very easily. The Norwegian church, seen in the background below, was once a church for Norwegian sailors, now it is an arts centre and has award winning cakes in its cafe. 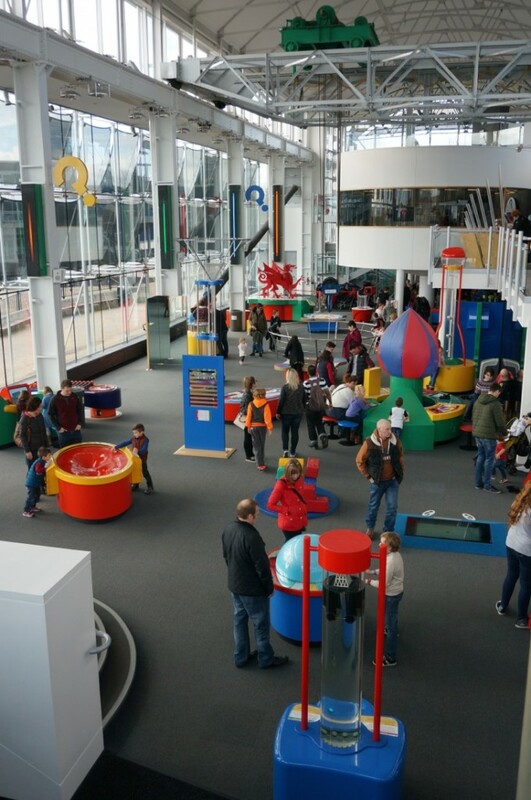 An indoor hands on science centre, Techniquest has something for every child and grown up to grapple with. 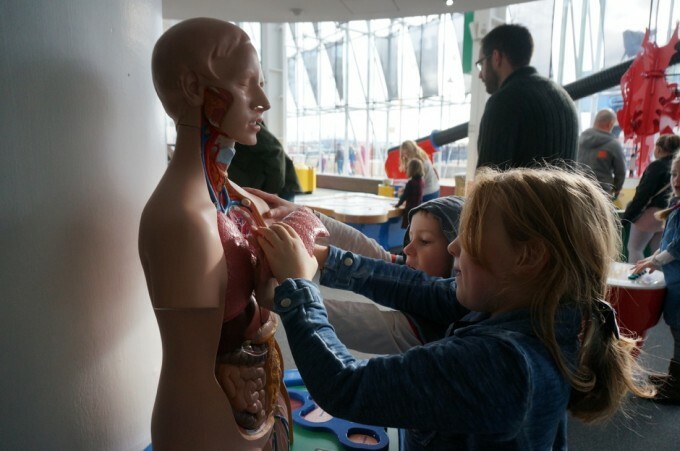 From playing with the parts of the human body, to exploring locks, motion, tides, perspective and momentum (to name a few concepts I can remember), there is something to engage everyone. Techniquest is a lovely spacious glass building, full of light and bursting with colour. As an educational charity it also makes equipment for other organisations in its workshops and has staff on hand to help explain and demonstrate. My two were hooked! 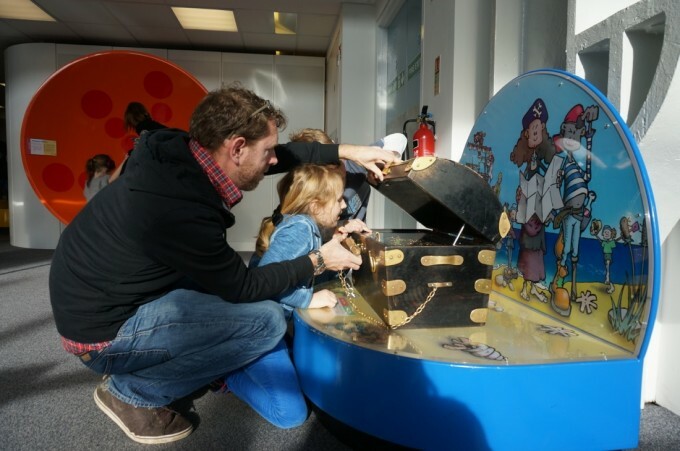 Techniquest is £23 for 2 adults and up to 3 children. There is a cafe and shop and you could easily spend a morning or afternoon playing here. We loved the atmosphere of World of Boats. 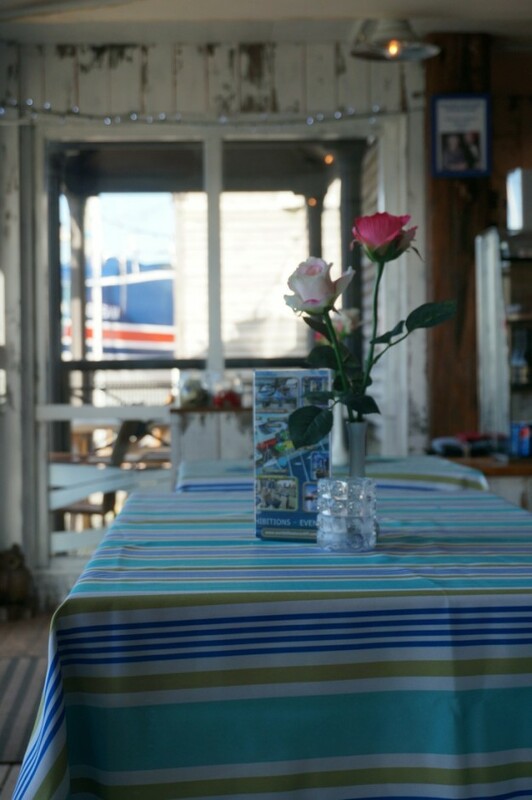 The cafe has a lovely nautical meets shabby chic feel, the owners are really friendly and there was a resident dog pattering around to ever so gently to welcome guests. The food was great, just what we needed after a blustery walk along the front – proper hot dogs for the kids and no ordinary paninis made with yummy Welsh cheddar and flavoursome tomatoes, for the grown ups. Followed by a selection of cakes which we shared. I had to try Aunt Nellie’s bread pudding, as there is a picture of Aunt Nellie above the counter, it did not disappoint. Sadly there wasn’t enough time for us to explore World of Boats, but with 40 boats from around the world and throughout history, we were sad to leave. There are renovation projects too, currently Elena Maria Barbara, once restored, will be externally, an exact replica of an 18th century armed tops’l schooner. I would love to go back and the view from the cafe deck is magnificent. This is a fully interactive experience, expect to join the doctor on a mission deep into the tardis, space and time, and to save the universe. My 6 year was so animated when he emerged – he had steered the tardis to safety and landed on another planet. My 8 year old was bold and fearless as she explored a landscape of broken darleks to retrieve the crystals needed to save the world. 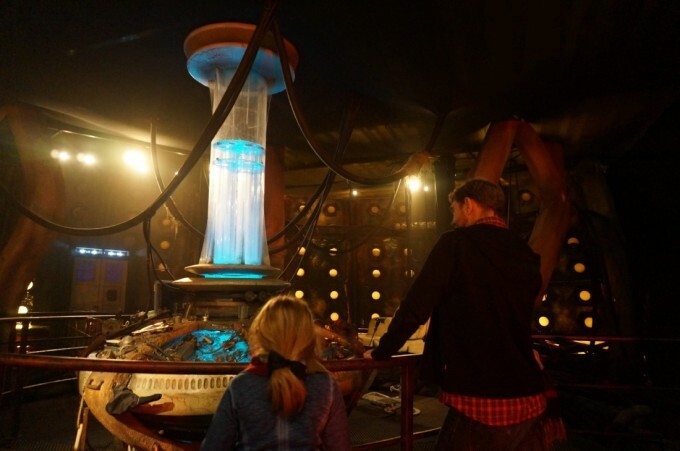 Afterwards we explored the set and costumes, and had fun posing in and around the tardis. I thought my children might be a bit young for Dr Who but they absolutely loved this, and we found the David Tennant episodes are rated PG so have been enjoying them as a family since we got home. Two weeks on and no nightmares about darleks – just lots of unforgettable, old fashioned family TV time – hiding behind cushions, squealing with excitement, animated discussions of the plot – we have two Whovians, no make that four! 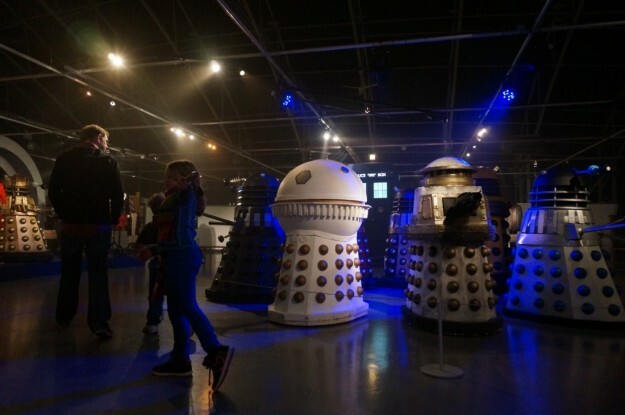 Dr Who Experience: Family Ticket £41, £49 on the door. You need a timed slot, so booking in advance is advisable. 5. Take to the water. It might have been breezy January when we visited, but you can take advantage of everything from boat trips, to canoeing the bay, to white water rafting at Cardiff International White Water. We stayed at the Future Inn, a suite for one night was £117 including breakfast, the room was very comfortable and spacious and the kids had an adjoining room with a sofa bed. 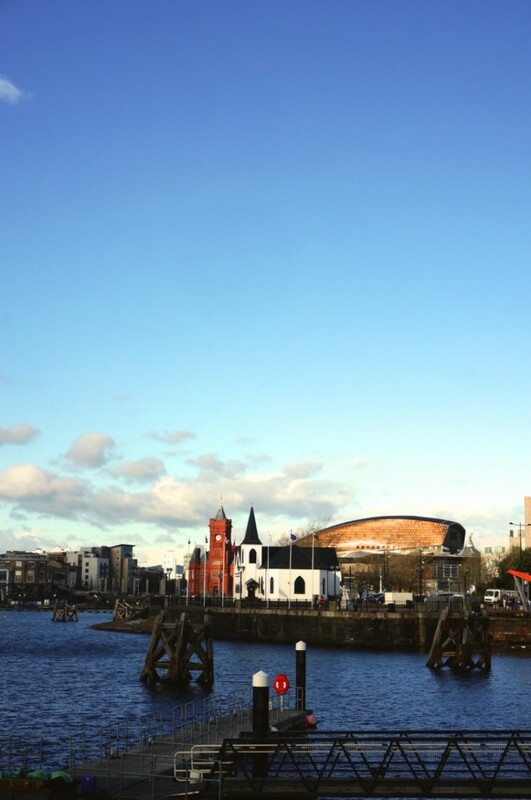 It was ten minutes walk to Cardiff Bay and all of the attractions mentioned are within walking distance of each other. 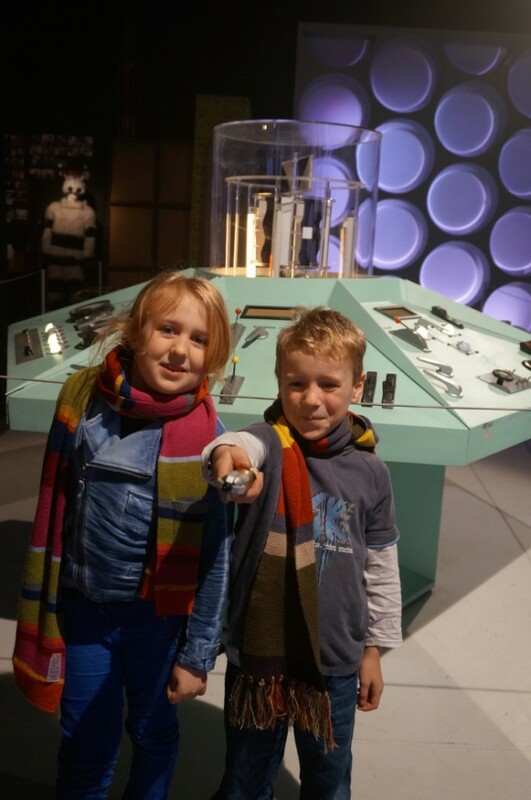 We went to Cardiff when the kids were really small, and you’ve really made it sound like we should visit again – Techniquest sounds particularly good, while my son is a big Dr Who fan…. Wow, what a fantastic picture of Cardiff. I like just potter picture.